Precision turned bottom that works on all stoves. 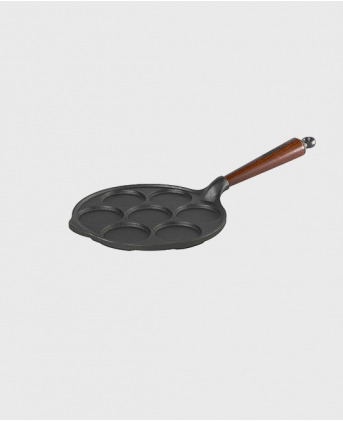 Crepe Suzette pan 17 cm - cast iron handle & helper lip. Suitable for all heat sources. 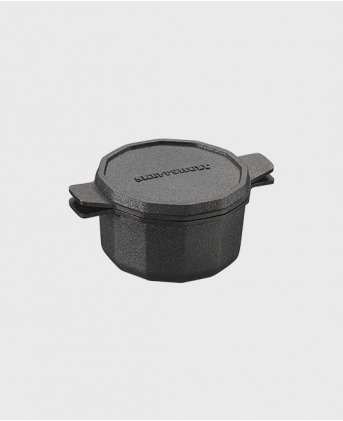 The perfect roaster for all types of dishes cooked in the oven. Frying pan 28 cm - walnut wood handle & helper lip. 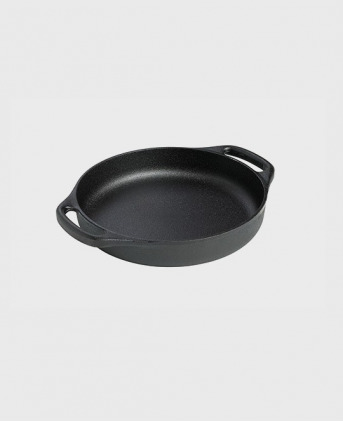 Suitable for all hobs. 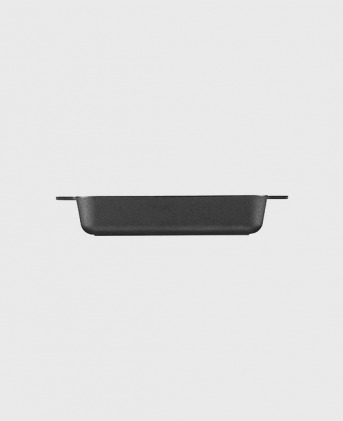 Grill pan 25 cm - walnut wood handle & helper lip. Suitable for all hobs. Grill pan 28 cm - walnut wood handle & helper lip. 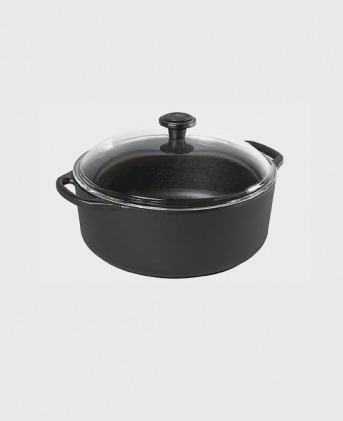 Suitable for all hobs. 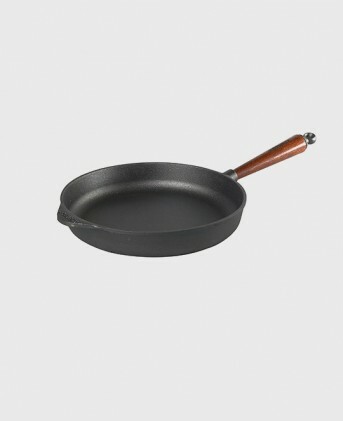 Frying pan 18 cm - Swedish brown stained beech wood handle & helper lip. Suitable for all hobs. Frying pan 24 cm - Swedish brown stained beech wood handle & helper lip. 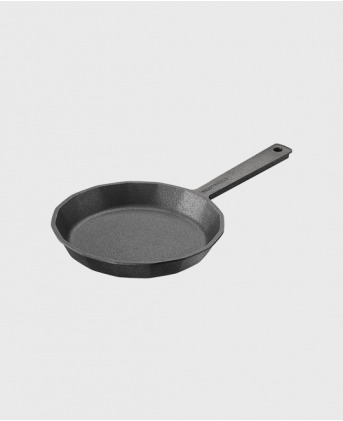 Suitable for all hobs. Frying pan 28 cm - Swedish brown stained beech wood handle & helper lip. Suitable for all hobs. 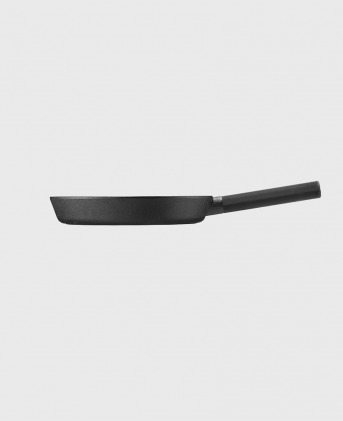 Frying pan 36 cm - Swedish brown stained beech wood handle & helper lip. 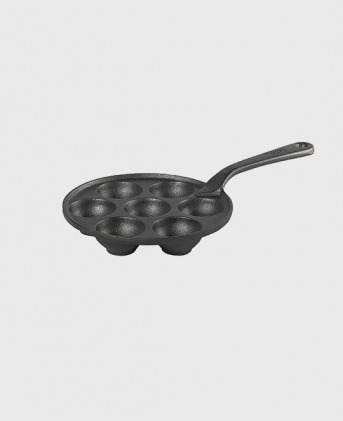 Suitable for all hobs. 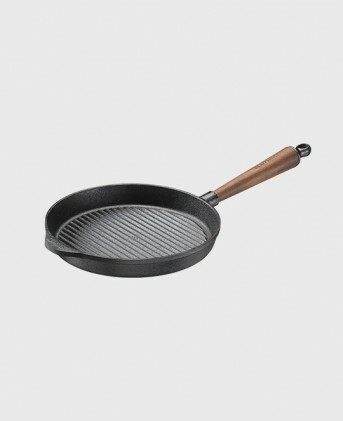 Egg pan 20x20 cm - walnut wood handle & helper lip. 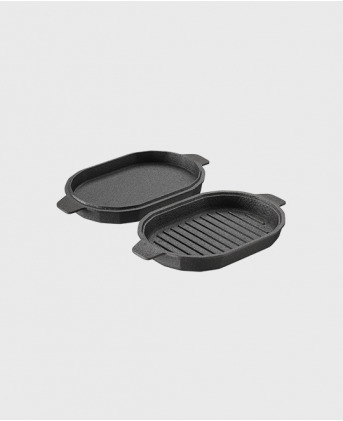 Suitable for all hobs. 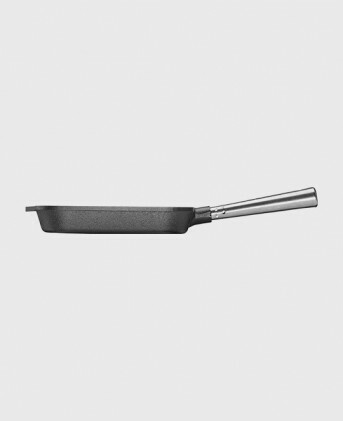 Fish pan 33x22,5 cm - cast iron handle & helper lip. Suitable for all heat sources. Scotch pancake iron 23 cm – Swedish brown stained beech wood handle & helper lip. 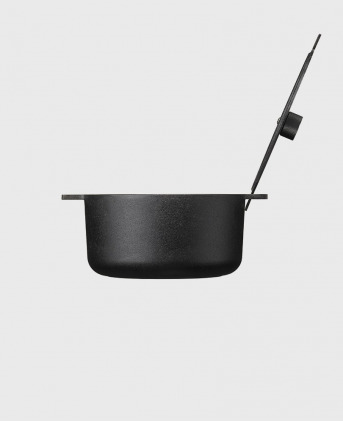 Suitable for all hobs. 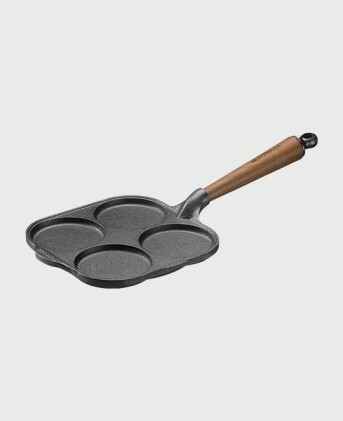 Sauce pan 1,0 L - Swedish brown stained beech wood handle & helper lip. 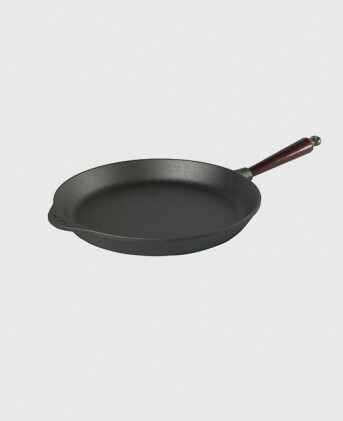 Suitable for all hobs. 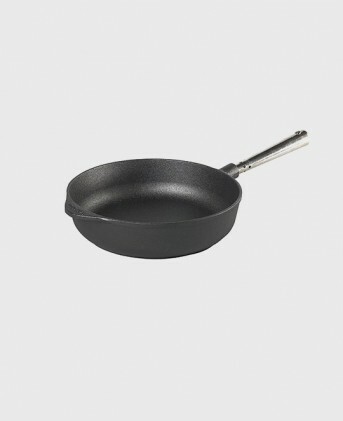 Sauté pan 25 cm - self-ventilating stainless steel handle & helper lip. Suitable for all heat sources. 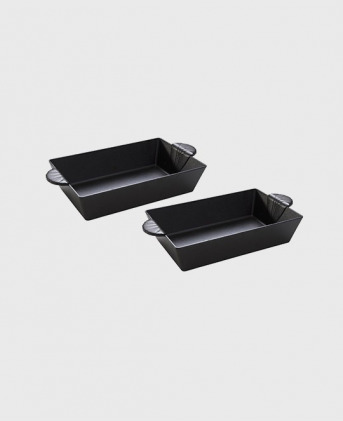 Grill pan Square 28 cm, 25x25 cm - self-ventilating stainless steel handle & helper lip. Suitable for all heat sources. 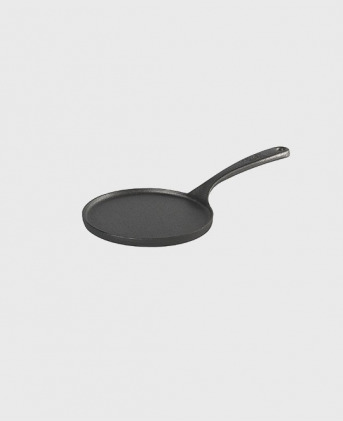 Frying pan 18 cm – self-ventilating stainless steel handle & helper lip. Suitable for all heat sources. 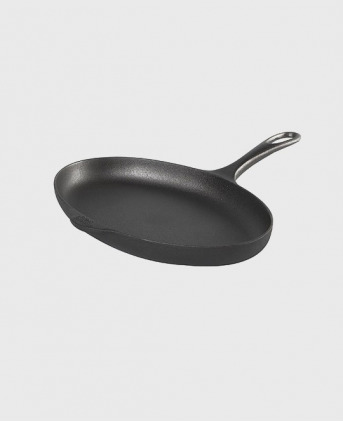 Frying pan 28 cm – self-ventilating stainless steel handle & helper lip. Suitable for all heat sources. 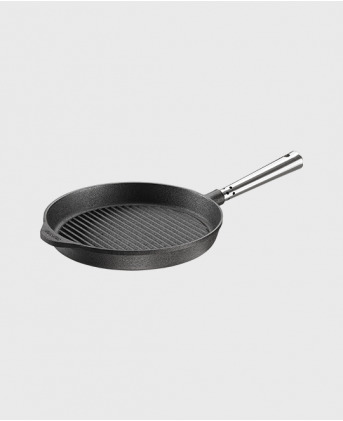 Grill pan 25 cm – self-ventilating stainless steel handle & helper lip. Suitable for all heat sources. 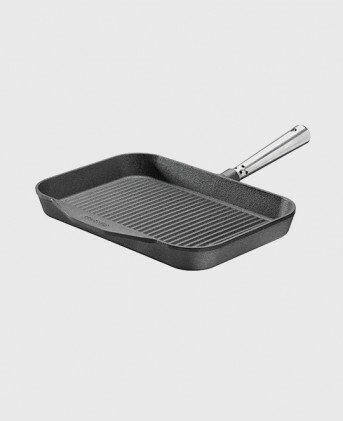 Grill pan 32 cm X 22 cm - self-ventilating stainless steel handle & helper lip. Suitable for all heat sources. 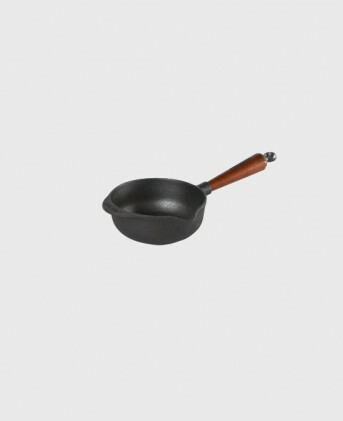 Dumpling pan 22 cm - cast iron handle & helper lip. Suitable for all heat sources. 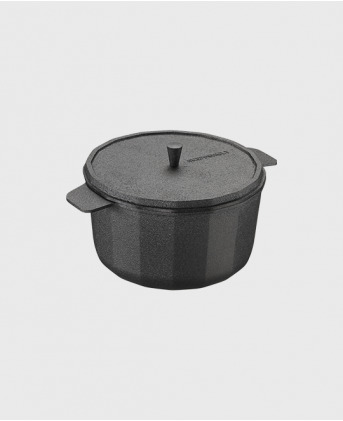 Casserole round 4 L cast iron lid – cast iron handles. Suitable for all heat sources. Casserole round 7 L with cast iron lid - cast iron handles. Suitable for all heat sources. 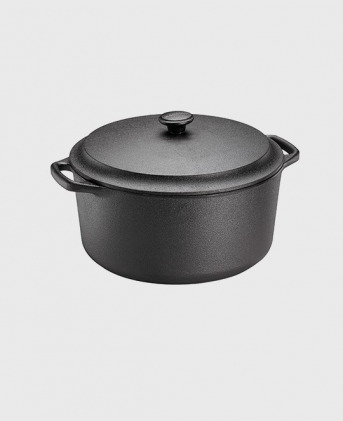 Casserole round 5,5 L glass lid - cast iron handles. Suitable for all heat sources. 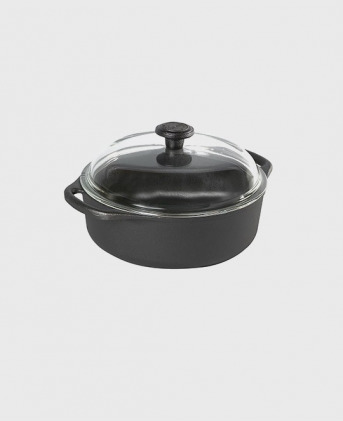 Casserole round 3 L glass lid - cast iron handles. Suitable for all heat sources. 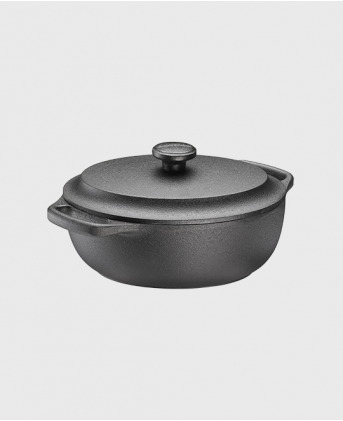 Casserole oval 2 L with cast iron lid - cast iron handles. Suitable for all heat sources. 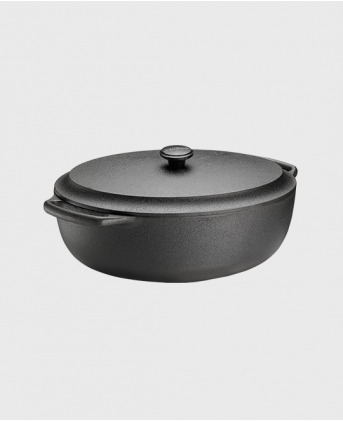 Casserole oval 6 L with cast iron lid - cast iron handles. Suitable for all heat sources. 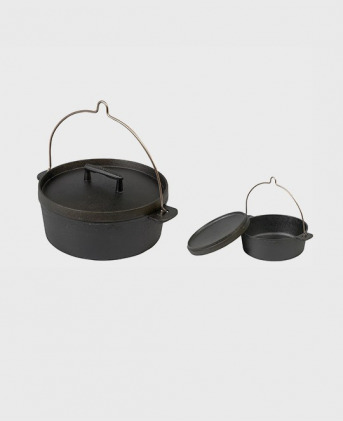 Scandinavian dutch oven 29 cm - For leisure people and hunters. 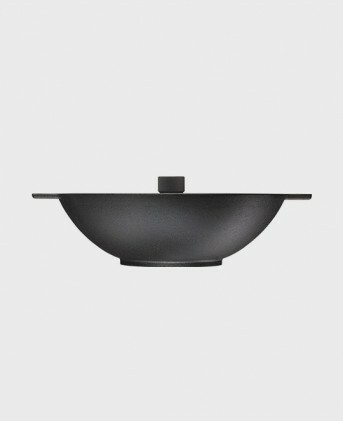 2 pcs x 3,5 dl Dish - cast iron handles. 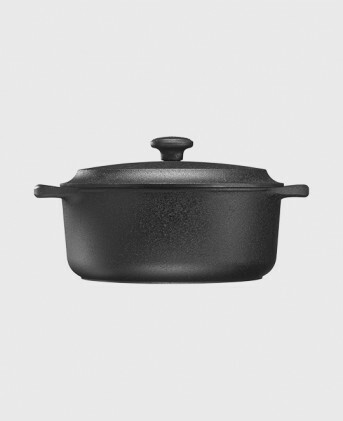 Suitable for oven, grill & open fire. 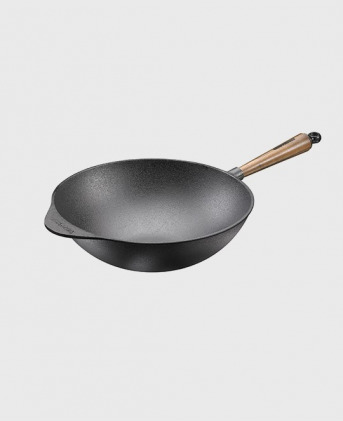 Wok 32 cm 4,5L - walnut handle & helper lip. Suitable for all hobs. 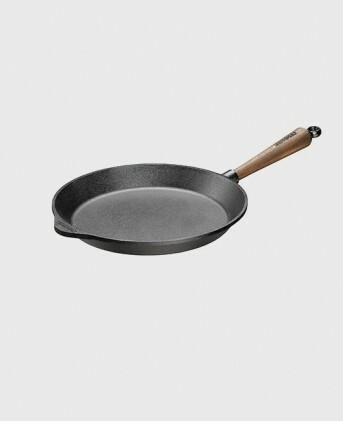 Deep pan 20 cm - Swedish beech wood handle & helper lip. 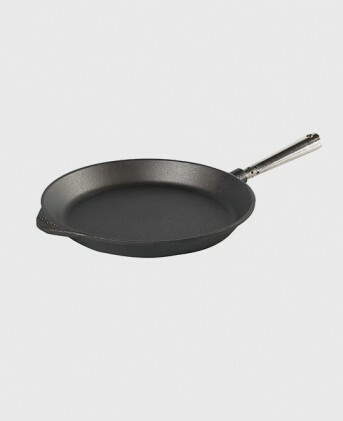 Suitable for all hobs. Heart pancake iron 22 cm - Swedish brown stained beech wood handle & helper lip. Suitable for all hobs. 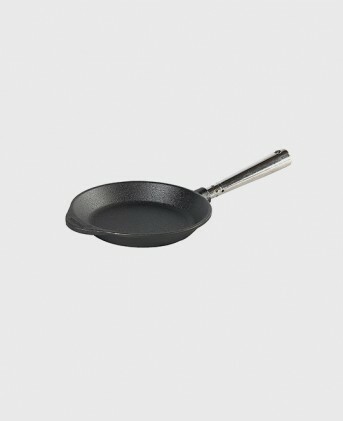 Blini pan 13 cm - cast iron handle & helper lip. Suitable for all heat sources. 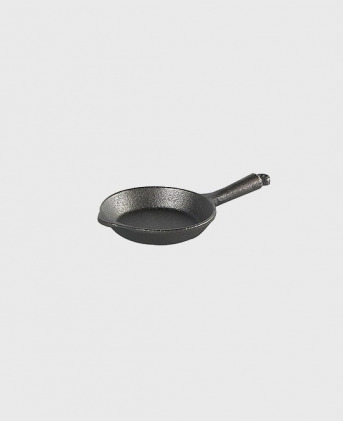 Frying pan 7,5 cm - cast iron handle.